John Robert Carr Jr. is accused of trying to hide Krystle Anderson in a plastic tote. A Winter Haven man is accused of trying to hide his legless fugitive girlfriend in a plastic storage container. 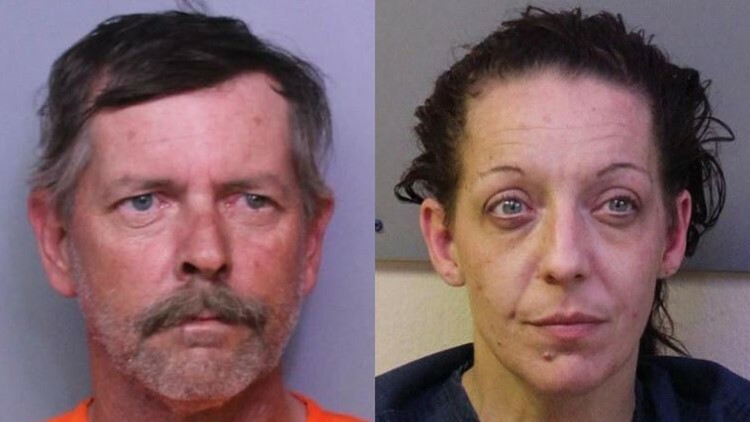 The Lakeland Ledger reports John Robert Carr Jr., 48, faces a resisting arrest charge after trying to hide Krystle Lee Anderson, 39, when Polk County deputies and U.S. Marshals officials showed up at his home on Tuesday. Carr told the officers she was not home, but they saw him trying to put the 4-foot-tall Anderson in a plastic tote. The two were arrested. Anderson was wanted for failure to appear on charges stemming from a 2015 incident where she held hostages at an Orange County Burger King with a BB gun. She was shot by a police officer, leading to the loss of her legs, the Ledger reported. For more, read the Ledger report.